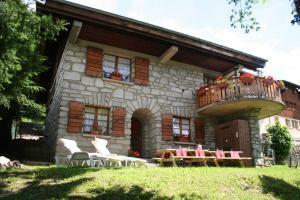 Situated a 5-minute walk from the centre of Megève and 150 metres from the nearest bus stop, this chalet provides a lounge area with a fireplace. 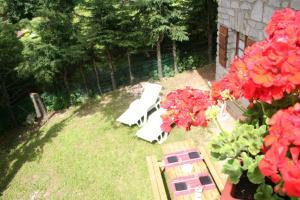 The B&B has a garden with a balcony and offers ski and bicycle storage facilities on site. 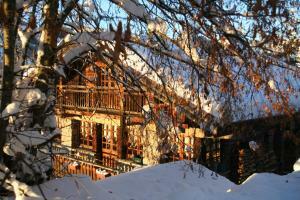 Rooms at Chalet in Megève are individually decorated and have free Wi-Fi access. Some rooms have a balcony and a view of the mountains or the garden. 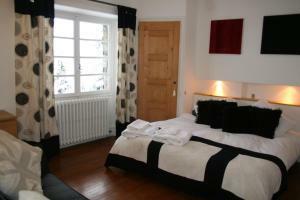 Guests have access to a living room with a TV offering international channels and a DVD player from 14:00 to 22:00. A daily breakfast including fresh pastries, toast and eggs can be enjoyed in the dining room. 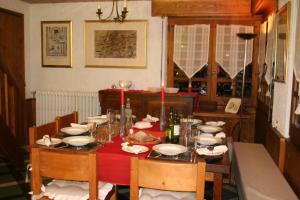 Sallanches Train Station is 13 km from the B&B and Geneva Airport is 90 km away. 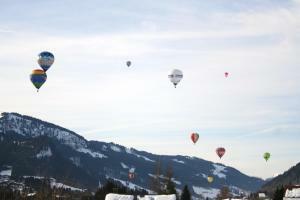 A shuttle bus takes guests to and from the ski slopes of Megève, and babysitting services are available.